"Hi Coach, Kaylee has come so far in the almost 4 years that she has been with you. We wouldn't let her train with anyone else! Thanks for everything coach." "I have had the opportunity to work with Warfield for the past 4 years in clinics, team coaching, and private lessons. I have the deepest regard for his work ethic, professionalism and expertise as a tennis instructor. Warfield always “goes the extra mile” with his students and gives generously of his time. Working with Warfield has helped me to not only continue to grow as a tennis player but also to enjoy tennis as a wonderful sport to be played with others." 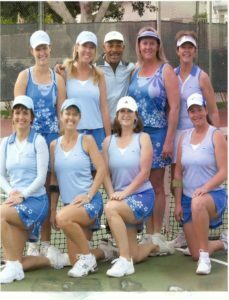 "My tennis game has greatly improved over the last 4 years of attending Warfield's clinics. Warfield makes the clinics fun & knows exactly how we should adjust our form in addressing the ball and game strategy. The drills are varied and always instructive. I admire his ability to not only play tennis but to teach others how to enjoy the game as well. Thank you, Warfield!" 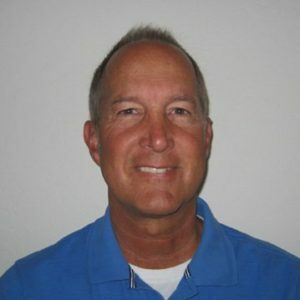 "Warfield is an outstanding teacher of tennis fundamentals and equally as adept at getting the most out of his students. 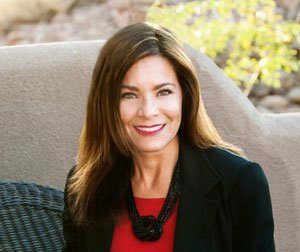 Warfield produces the right results in the right way." 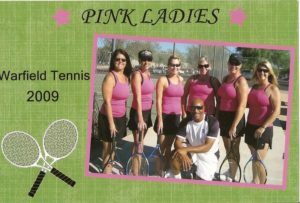 "Warfield is an excellent tennis instructor and his clinics are top notch. 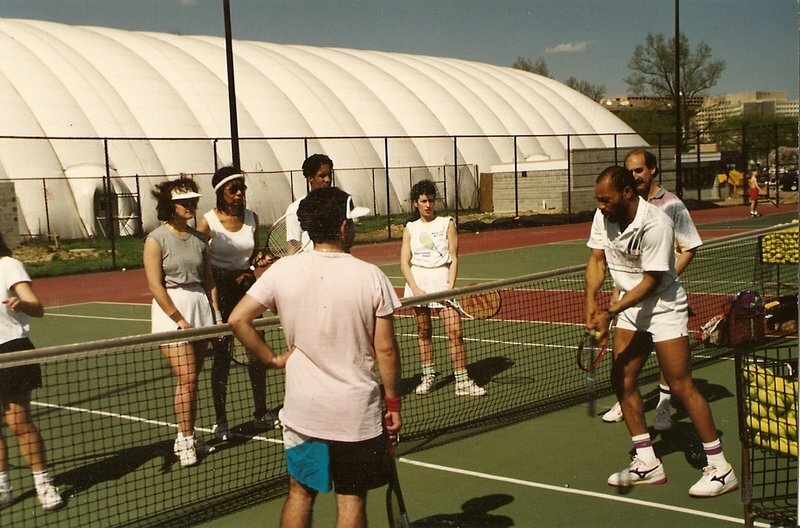 I have learned more from Warfield in six months than any other tennis instructor over the last 25 years. He teaches you the real fundamentals of tennis so that you not only increase your power and technique but avoid tennis injuries. He has unlimited patience and gives you continual guidance on almost every shot during the clinic and constantly reinforces the correct fundamentals. His classes are also fun because he has a great sense of humor. Not only does he want you to play well and improve your game you want to play better for him. I highly recommend Warfield and his tennis clinics. I would give him a five star rating." "I have taken tennis lessons from Warfield T. Morsell since 2005. My first lesson with him was the first time I ever stepped on the tennis court. Despite Warfield's extensive experience as a player and Coach, he understands the best ways to teach beginners, intermediate and advanced players in order to help them reach their individual goals. He notices a player's particular strengths and draws out a person's natural abilities. Having a Coach who brings fun, techniques and mastery to every lesson or clinic motivates players to fall in love with the game. For all of the "ups and downs" that every player experiences on the court, Warfield meets each "up" with humor and praise and each "down" with compassion and a solution. I highly recommend Warfield T. Morsell as a Professional Tennis Coach for all levels of players." Well the season is winding down and I think the chance that I'll be on a court with you again this season are pretty low. I realized that I had not thanked you for all of the help you gave me this season, so I wanted to send you a small note. I know that I am not yet the player that I could be, but I feel like you have bumped up my game a notch. I have drilled with enumerable tennis professionals. No one has ever worked me so hard on consistency as you have. I feel like it has made a huge difference in my game. I also feel like you've given me better input on doubles strategy than I've gotten anywhere else. I know that I give you a hard time about some of your pointers, but I like the way that you keep finding different ways of trying to explain something until it finally clicks. There's been a couple of times that you've said something about court positioning, and once you demonstrated it, I've never seen the court the same way again.